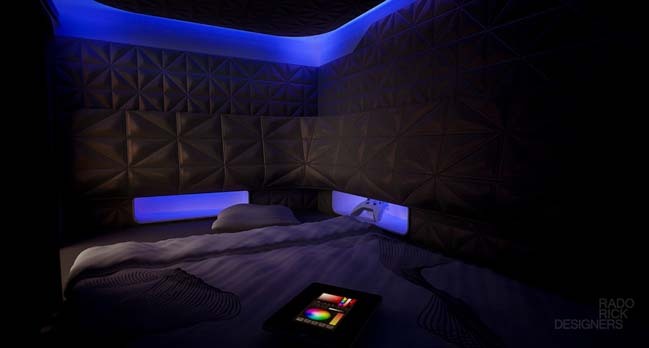 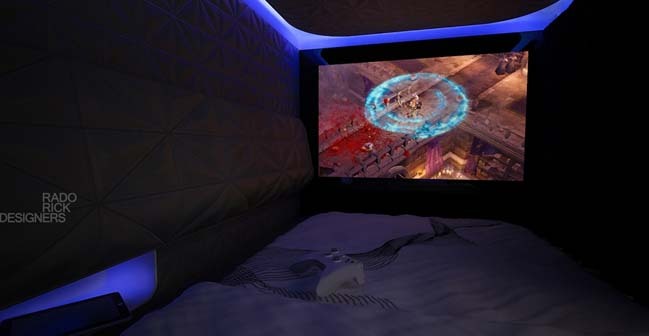 Named "Star Wars", the Rado Rick Designers created a perfect bedroom design to respond a customer's requirement who is a big fan of video games and sci-fi movies. 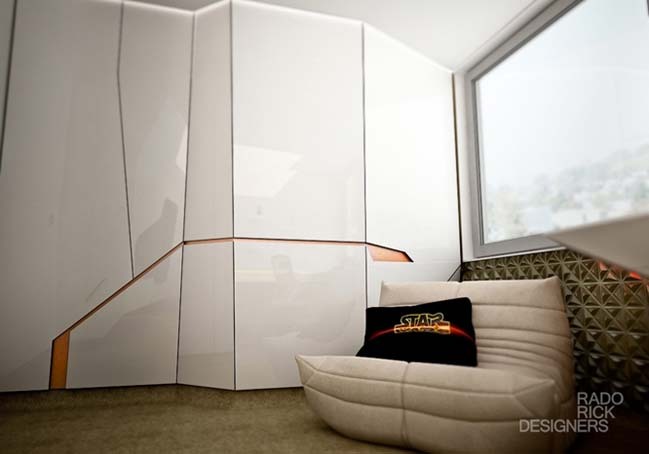 "Using Hi-Macs® by LG, a high-tech acrylic stone, made the borders between furniture and walls disappear, which gave the room a uniquely futuristic feeling." 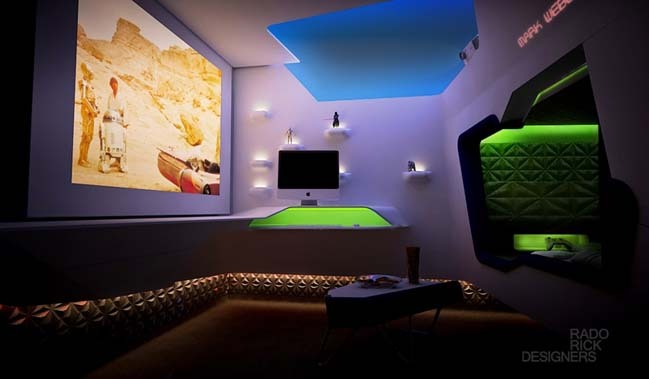 02 / 22 / 2015 Named Star Wars, the Rado Rick Designers created a perfect bedroom design to respond a customer's requirement who is a big fan of video games and sci-fi movies. 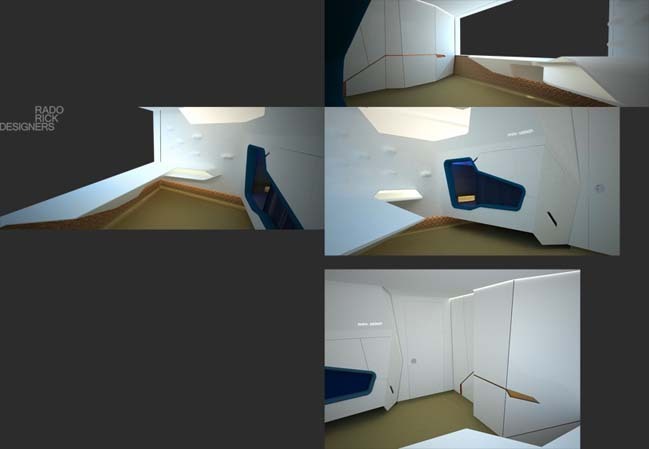 Recommended post: Folding Wall House by Arhitektura d.o.o.